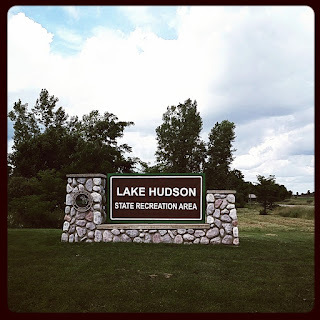 A few weeks ago, we visited Lake Hudson State Recreation Area in Clayton, MI. We'd been meaning to check it out for a while! For us, it's just about a 25 minute drive. A fun, very affordable weekend get away for families with older children can certainly be had here! The park features boating, fishing, camping and a lake side beach. Park entry is free with a Recreation Passport, available at any Secretary of State or at the park entrance. Passport is $11 and is good for entry at all state parks for a full year, or until you next renew your Michigan plate. The park roads are well mantained. There are areas of the park that require you to dim your headlights after dusk to accommodate star gazers. A fabulous view of the heavens can be seen over Lake Hudson. There are no hiking trails at this particular park, however. 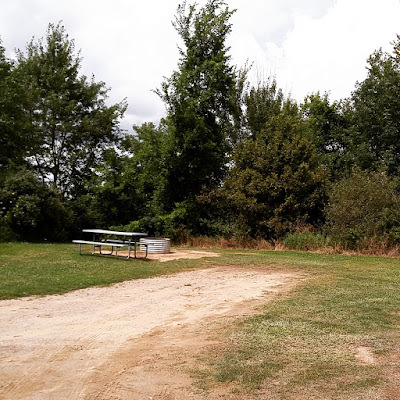 The camp sites are clean and include a fire ring and picnic table. 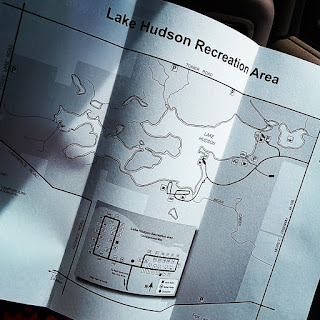 There are a few sites that have direct access to the lake, and others that are directly across from one another that would be great for groups. There are RV accommodations as well. Frankly, the picnic area adjacent to the beach may be a bit lacking if you're traveling with small children. There is no shade available via trees, nor pavilion. There is no playground equipment. There are picnic tables and grills, though, if you're looking to have a picnic. The sandy shoreline itself is clean, as is the water. Note that there are no pets allowed at the beach. We didn't go fishing during our visit, but I've been told the Musky fishing there is excellent. 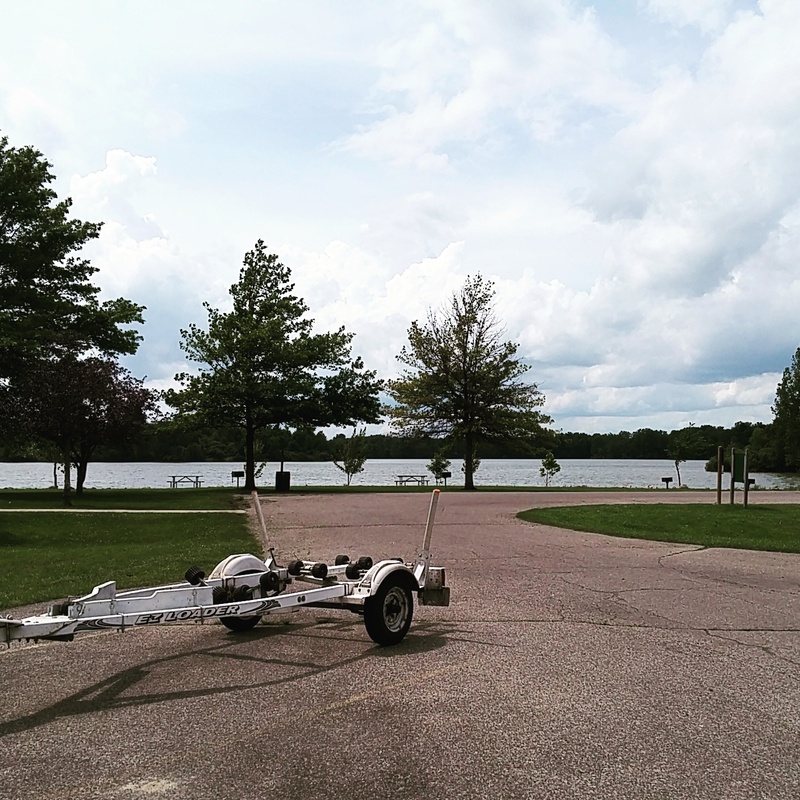 There is a boat launch, as well as several places suitable for fishing from the shore. 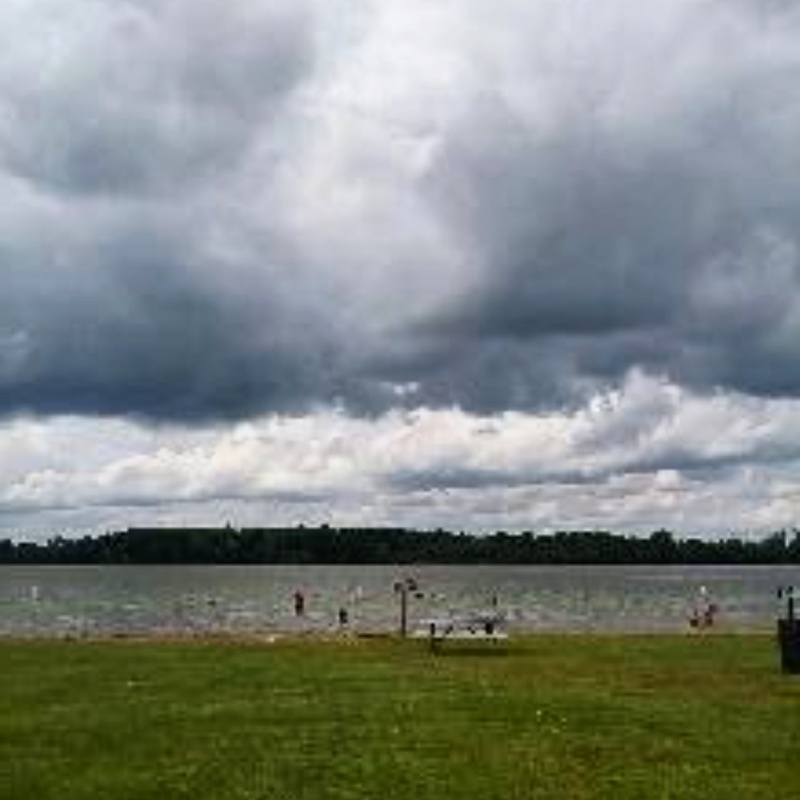 A Michigan Fishing License is required for all fishermen over the age of 17. State residents can purchase their yearly license online HERE or at your local sporting goods shop for $26. We certainly plan to return to the park again. It's been a few years since we've renewed our fishing licenses, we now have a perfect excuse!